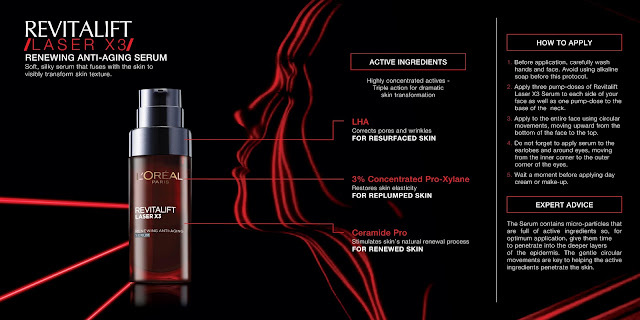 I was one of the lucky few who were chosen to receive the FIRST EVER latest innovation from L'Oreal Paris Dermo-Expertise called Revitalift Laser X3! The name, the packaging itself looks amazing no wonder the newest product line took various countries by storm! I personally haven't tested any L'Oreal Revitalist products except their facial mask but my brother has always been buying these for my mom especially the serum and eye creams! I haven't taken any before and after shots of my mom as I have to admit, she isn't that consistent with her skincare application but all I can say is that my mom doesn't look her age! Proven effective on pores and lines. No measurable difference vs. laser treatments. Performs even better than laser on skin smoothness and bounciness. "The serum contains micro-particles that are full of active ingredients, so for optimum application, give them time to penetrate into the deeper layers of the epidermis. The gentle circular movements are key to helping the active ingredients penetrate the skin." "Spread the cream directly over the entire face. Use your fingertips to massage into the skin with circular movements, moving from the bottom to the top of the face as well as around the eyes (inner corner toward outer corner) and on the neck. For full effectiveness, it is advisable to apply Revitalift Laser X3 Cream both morning and evening. For maximum results, follow this protocol twice daily." 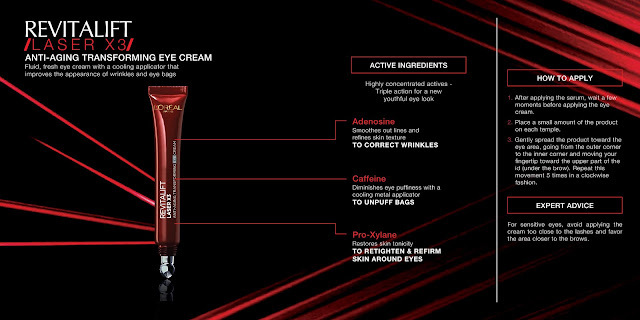 "For sensitive eyes, avoid applying the cream too close to the lashes and favor the area closer to the brows." 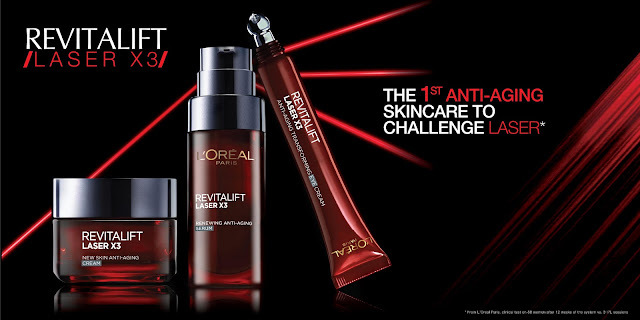 **Revitalift Laser X3 is available in all leading department stores nationwide. 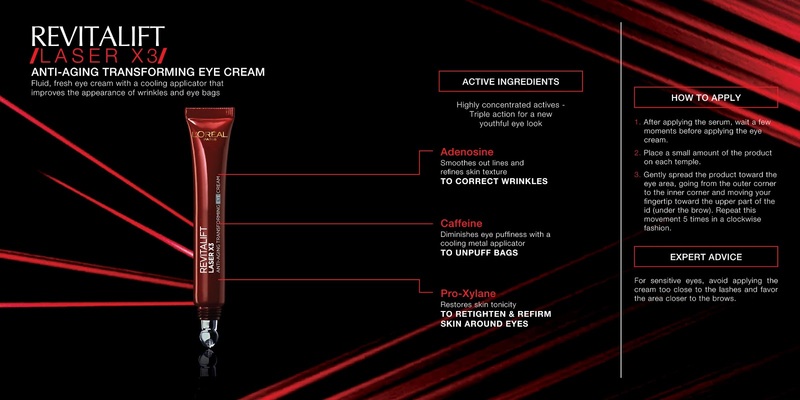 Which particular product mentioned above would you particularly want to try? 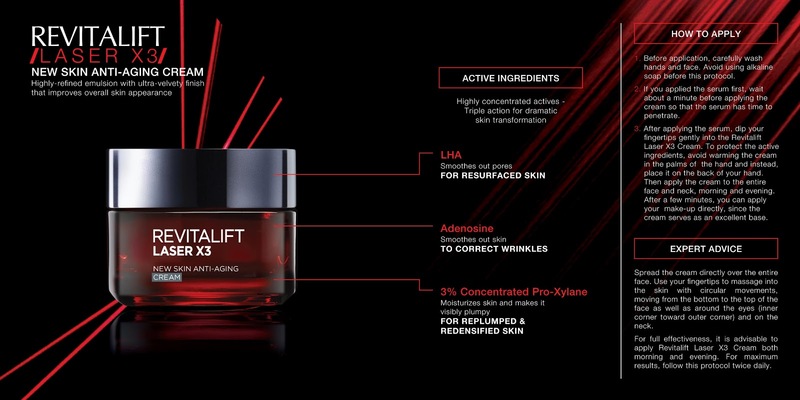 I am most interested with the Revitalift Laser X3 Anti-Aging Transforming Eye Cream! I bought the serum, cream and eye cream.But i found out today that i'm pregnant..is it safe for pregnant women? What about safety during pregnancy and nursing? I personally did not use any of these products when I was pregnant and nursing.